This had good reviews so I gave it a shot. It is hard to get out of the bottle and I didn't see any improvement in my skin. Exuviance Rejuvenating Complex worked better for me and is cheaper. I am 63 and tried this to avoid costly facials that I hate to take time for.....has reduced my need for moisturizer also......skin is not flakey or tight feeling....pores seem smaller..skin brighter! The first couple times I used this product my skin felt dry and tight and I needed additional moisturizer. I didn't give up though. After a few uses, my skin adjusted and I no longer need moisturizer over it. I only use this at night. Love how silky it feels on my skin. I started out with the 2X to play it safe and I just ordered the 3X. I think my skin can tolerate going up a level. I tend to get acne breakouts (I'm 41) so the 3X might be more beneficial to me. I love this product!! My skin is clear and smooth. It has a wonderful lightweight texture, doesn't feel heavy or greasy.My dermatologist recommended this to me and I absolutely love it! My skin looks healthy, clear and bright.Def. worth the price. After using this cream for less than a month, my acne prone skin is a clear and very smooth now. no more break out, it does as what it claims! It's also not irritating my sensitive skin. 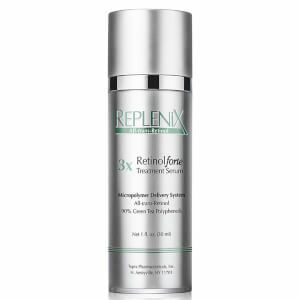 I highly recommend this retinol for those with sensitive skin. It does just what it claims - smoother, firmer, brighter skin, and will leave your face feeling like silk! No smell, and a little goes a long way. 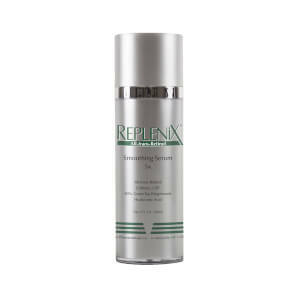 If you are worried about retinols irritating your skin, this is a good one to try first!